Every Christmas I see these adorable Advent calendars in stores and catalogs. They are used to countdown the days until Christmas. They usually have little pockets or windows, one for each day in December, and they can be opened to reveal a small treat. I just know my kids would love something like this...and it might keep me from having to hear 20 times a day, "Mommy, how many more days until Christmas?" 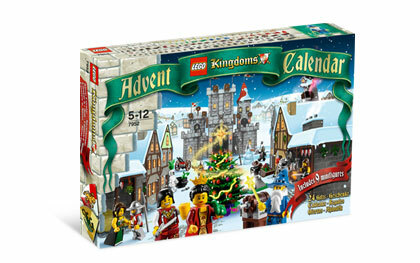 I looked at several Advent calendars this year because I was determined that we would finally get one. Wow! They are expensive. I saw some from $30 to $300! They each have little pocket windows and the child opens one each day to find a piece of a scene that they build. I really thought about getting one of these but I know Rachel would just carry off the piece every chance she got and then the scene would be rather sad by the time Christmas finally got here. Besides, how do you reuse it next year since the cardboard windows probably won't close back once they've been opened. Would I have to spend another $35 on a new one next year? ...and after my 40% off coupon, it only cost me about $6.00. It's made of a thin cardboard and has 25 little removeable drawers. The drawers are the perfect size to hold two little treats or treasures so Nicholas and Rachel can each get their own prize each day they open a drawer. I first sprayed all the pieces with acrylic sealer as a primer then I sprayed it with a light coat of gold glitter paint. It doesn't add any color so the natural color still shows though but it adds a touch of sparkle that's was just what I was looking for. Next I pulled out some Christmas-themed cardstock from my scrapbook supplies. I made a template for the front of the drawers and then drew the outline for 25 little drawers on the backside of the paper I wanted to use. In this picture, the backside of the paper is actually a quite pretty green with white polka dots but that's not the pattern that will show on the drawers. I used my paper cutter to help me cut straight lines. I used a circle punch to help me make smooth curves to mirror the curved cut-out in the drawers. I like to turn my punch upside down so I can better see how the paper is lining up with the punch. ...and stick the Christmas paper on the drawers. I chose two different coordinating colors just to give it some character. Next I added some sparkly Christmas stickers to each drawer and handmade numbers for each day through the 25th. Then I painted a coat of Mod Podge over the entire thing to seal it. Voila! Our very own advent calendar! Nicholas and Rachel were so excited to see it. It helps them keep track of the number of days until Christmas and they love to see what surprise is hiding for them in the drawer for that day. They are doing great at taking turns at who opens the drawer each day. Sometimes they find two pieces of candy, other times they find two stickers. I love starting a new Christmas tradition like this for our family. Feel free to leave a comment about a Christmas tradition in your family. I'm a grandmother in TN who stumbled onto your blog. 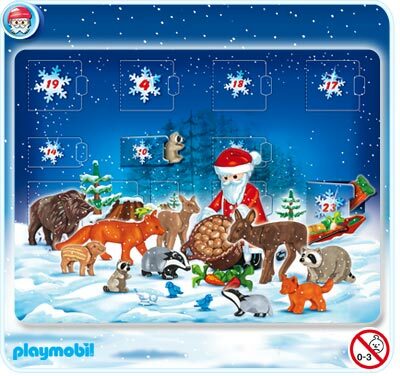 This advent calendar is a great idea and really cute! while picking up the poop with paper towels. It amazed them that it didn't stink very bad .. I made it by mixing hardened oatmeal, cocoa, bits of straw, broken nuts and gravel into appropriate shapes. I guess you could add glitter or something if you want it to twinkle. Helps keep the magic in Christmas!